Spring is magic. Nature is waking up and everywhere life is accelerating. 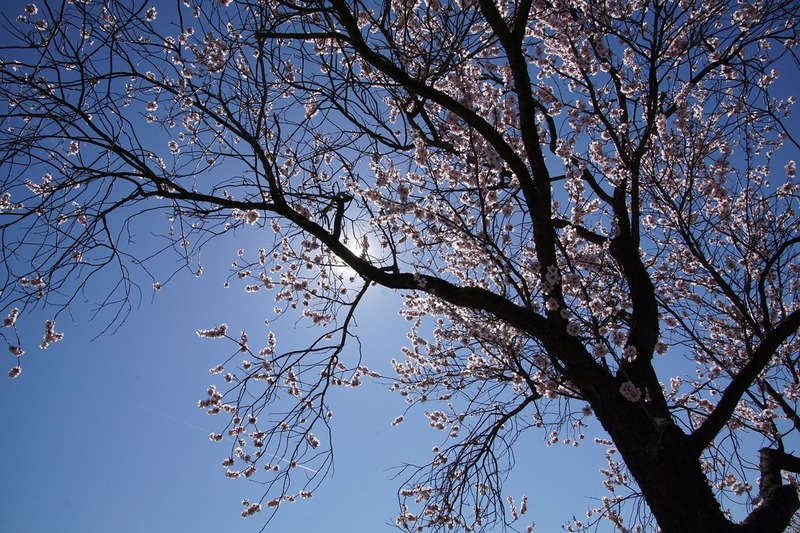 After the cold, wet and dark winter comes spring, warmer, softer and liquid. The earth is warming up. Winter ice has melt. Gentle rains soak the earth, that is now moist. Life is resurfacing everywhere. The seeds germinate, the flowers bud, the insects buzz, the leaves unfold. Despite our separation from nature, we are deeply affected by this gentle agitation around us. 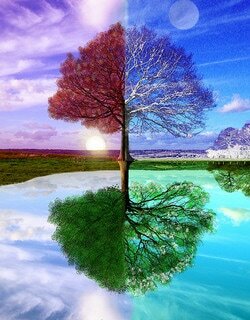 Spring is a season of birth, renewal and growth, a time when the earth manifests latent potential in all things. Our physiology feels this natural opportunity for a new beginning, for a great cleaning of accumulated imbalances, and a rejuvenation of our tissues. We emerge from a long winter sleep with a renewed sense of joy and inspiration. In Ayurveda, spring is a season characterized by heat (or at least less cold versus winter), moisture and softness. Moisture increases and makes us slower. Kapha in Sanskrit means "what blooms in water"; it looks like spring no? Thus, Spring tends to increase kapha. With the end of winter, a little kapha buildup is somewhat normal for most of us. Spring to crown everything can increase even more kapha. But in the same way that persistent ice and snow melt in the spring, the accumulated kapha liquefies. This process can be either a revitalizing event or trigger a number of health problems (allergies, sinusitis, cold, slow lymphatic circulation ...). With a seasonal diet and lifestyle balancing for Kapha, enhancing lightness, sharpness, dryness and warmth in our lives, we can support our physiology in its natural process of spring renewal and revitalization. However, spring is a transition season and therefore changing, so a spring routine is not meant to be rigid. Indeed, the local spring climate tends to fluctuate between a cold and dry winter weather and warmer and wetter conditions, which means that a given day could aggravate the kapha but also the vata. From mid-spring, temperatures rise, and the Pitta can also get worse. Obviously, these models vary depending on where you live and the nuances of your local climate. Adapting your daily spring routine is a great way to honor the subtle variations of the season. When the days warm up, your appetite diminishes and you look for more lightness in fruits, fresh vegetables and salads. It's the way your body tells you it's time for a spring cleanup. In fact, spring is a perfect time for cleaning with a monodiet or a detox. A monodiet of apple or pomegranate juice of 3 days is ideal for the season. You can also support your body's natural desire to purify smoother by promoting pungent, bitter and astringent tastes and by eating warm, light foods that are relatively easy to digest to stimulate digestive fire, maintain warmth, liquefy mucus and evacuate the excess moisture. Drink some hot drinks, with some honey in the day. Structure your diet by eating lots of fresh (but not necessarily raw) vegetables and a variety of legumes. These foods are astringent and often a bit bitter. Reduce heavy or liquid vegetables such as avocado, cucumber, olives, sweet potato, squash or zucchini. Start your day with a light breakfast of fresh fruit and tea. Light lunches and dinners of cereals and steamed vegetables and legumes are often perfect choices. Eat a lot of bitter green vegetables, cabbage family vegetables (cabbage, broccoli, cauliflower, etc. ), and spicy foods like green peppers. Eat the young sprouts that grow all over the countryside (spinach, purslane, lamb's quarters, yarrow, wing, bear's garlic, nettle, mallow ...) in salad or pesto! Tofu and poached or hard eggs are also suitable in the spring. Use very little oil or ghee when cooking. Minimize your consumption of dairy products, especially in the morning. Rice milk and almond milk are good substitutes. Avoid excessive oilseeds, bread or fermented foods. Breathe in something new in our life! 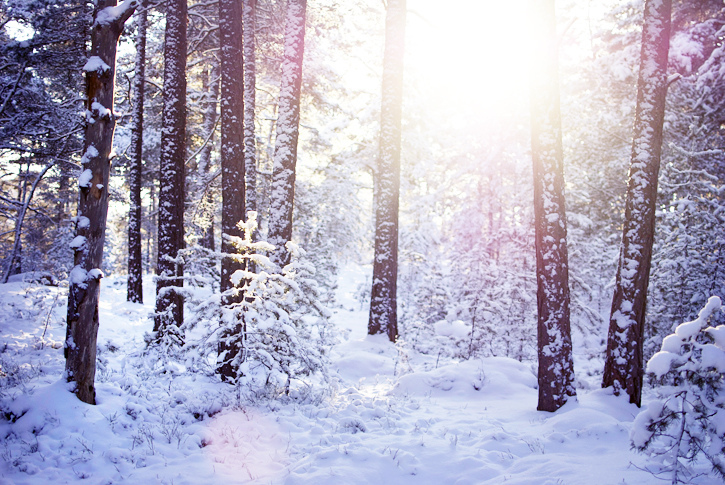 The goal: get rid of your Kapha winter cocoon and reboost you. How? Start a new activity. Do not hesitate to embark on a crazy adventure. Want more spirituality in your life? Get into meditation or yoga. Rather attracted to manual activity? Full of DIY possibilities exist between cooking, baking, painting, drawing, scrapbooking or knitting that is 100% destress. If you have a few days in front of you and a little money aside, spring is also a fabulous time to afford a little trip. This allows a real break after the winter to rest and come back motivated and inspired. In spring, nature teems with life, buds and young shoots come out with the sun. At the time, the pagan holidays of the spring equinox were meant to connect us to nature and drive out the winter darkness. What does it mean for you? It is not a question of organizing a Sabbath and dancing naked around a bonfire but rather to ventilate your mind by spending time outdoors. After hibernation, go out and spend time in nature. You can organize a great picnic or hike a day. Do you have a garden? So why not plant a young tree with your child? Or go for a walk together to gather young shoots for a pesto. If there is no garden, you can always plant aromatic herbs in your kitchen or on your balcony. The famous spring cleaning is totally anti kapha! You get rid of everything that does not serve you or is too used, of all your accumulation. The goal? Find space to feel lighter emotionally. Collect these surpluses and donate them to associations or resource centers, the space for you to create is a renewal for another person. Also think about airing by opening your windows a few minutes every day. A bit of fresh air to purify your home from the heaviness of winter and bring the lightness and joy of spring. In spring, the energy is mobile, moving upward and outward, like the flowers that stretch toward the sun. In the body it's the same. Your organization is a real power station that is going at full speed to clean everything up. But the liver is the recycling plant of the body and therefore the main actor of the detox. It purifies the blood of many substances that could be toxic to it such as nitrogenous waste, alcohol and wastes related to the catabolism of red blood cells. In short, with all the fuss in your body, it is good to give him a little help too. Drink 3 or 4 herbal teas from ginger, rosemary, turmeric or dandelion. For the more courageous, the infusion of artichoke is very effective but its taste can discourage the most reckless! Time is flying. It feels like yesterday I was publishing my last article but it was more 8 months ago. But now I can reveal why… I have been crazy busy working on a new amazing project. Nothing is finished yet but I can officially start to unveil the secret. And what secret! My partner (a Portuguese android developer, acroyoga teacher and massage therapist) and myself are currently working on an amazing project, AloeVeda: an app that provides personal ayurvedic programs to everyone. The programs will include all the ayurvedic dimensions: Nutrition, Lifestyle & Herbs. We truly want to help people achieve and maintain optimal health and well-being thanks to Ayurveda. What best way to reach people than straight on their phone? 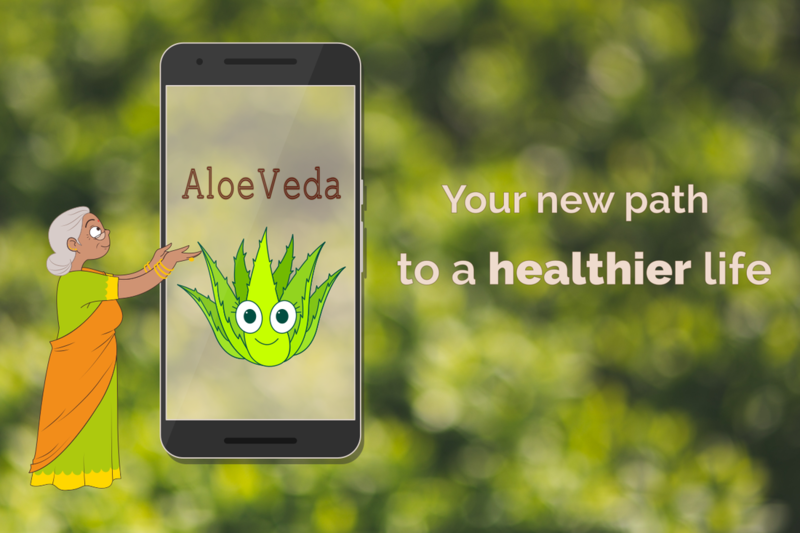 AloeVeda app will empower them to take daily responsibility for their health. We are starting a crowdfunding in June to help us to get the budget we need to develop AloeVeda App. I hope you’ll like this project as much as we do and support it. Autumn always feels like a storm, powerful and graceful. Its wind can give us clarity or make us lost and confused in thousands of useless and stressful thoughts. And it invariably changing, day by day, hours by hours. One of the crazy power of Vata and its Air element. Everything is moving, shifting, never resting, making us energy less and tired. 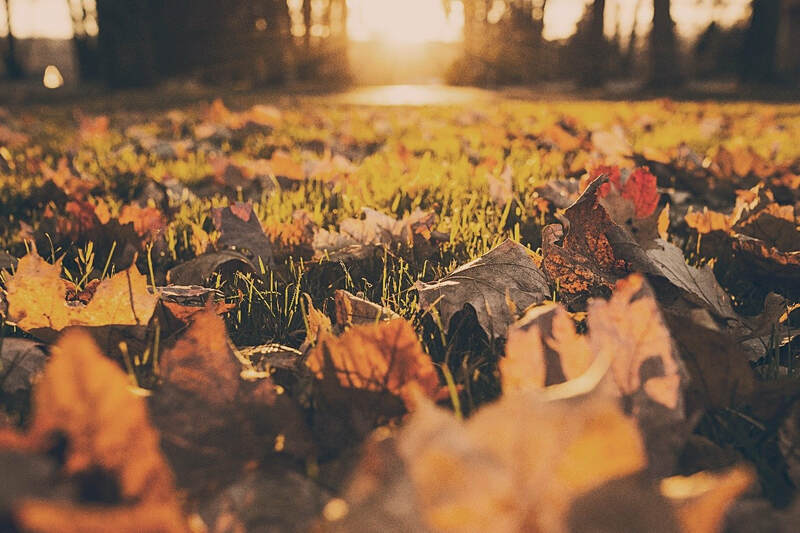 At fall, all nature is in transition to prepare for the winter. The days become shorter. The bright light that uses to shine into the sky during the summer is now returning to the ground, in the glowing leaves of the trees that litter the ground like a brick road to another OZ country. Associated with the teasing wind, the climate plays tricks, alternating hot and cold days, rain and fine weather. An instability in the image of our mental agitation. As temperatures diminish, our gaze shifts to the earth that stored the summer heat; it is the season for harvesting apples, walnuts, hazelnuts, chestnuts, mushrooms, squashes ... The attention is directed towards inside in conscious reflections, like internal lights to help us to leave behind what does not serve us anymore and to set new goals. By these attributes (cold, dry, light, changing ...), autumn is the classic vata season, governed by the energy of change. However, depending on our geography situation, the dry and changing qualities of vata may also have appeared earlier in the summer. In the early autumn, the vata accumulates and is provoked causing typical imbalances such as: constipation, joint pain, gas, sciatica, dry skin, emotional instability ... As the wind is good at reviving the flames, Pitta accumulated from summer may also come out at this time in the form of skin problems or migraines. End of Autumn, it will be the turn of the Kapha to accumulate. The organs to be regulated at this season are the colon, the ears, the skin, the joints, the lungs. Ideal period to refocus after the summer holidays, fall is time to clean our excretory organs to prepare for the winter. How? With a mono-diet. However, beware of extremes which increase vata! 3 days are enough! But it takes as much time before and after to slowly rehabilitate the body to heavier foods. Best: promote a simple diet based on cooked and spiced bitter vegetables (soup or steamed sautés), grape / cooked apples / cooked pears, or kichadi (Indian dish mixing cereals, legumes, vegetables and spices). Reduce step by step all heavy food 3 days before (incl meat, dairies, gluten, nuts, sweets...) and re-introduce them slowly over 3/4 days after the detox. It is the moment to help our transit to avoid the disagreements not so glamorous (gas, bloating, cramps, gurgling ...) of an increased Vata. For that, we use spices. The best for vata are heating, digestive and carminatives such as: cumin, fennel, cardamom, coriander, sage, rosemary, curry, cinnamon, ginger.... Most of the spices being fat soluble, they must first be first fried in a little bit of oil to make them active. With the drop of temperature that decreases blood flow, our dear colon is slower. It is then subject to frequent imbalances alternating constipation and diarrhea. For constipation, we prefer demulcent herbs (mallow, marshmallow roots, lemon balm ...) in the evening or some triphala at night; for diarrhea, tisanes with astringent plants (strawberry, alchemille, agrimony ...). Nutritious foods, fleshier with a soupy texture seem attractive. Their anabolic actions reconstruct the diminished tissues after the summer (especially the skin which is super important to nourrish to isolate from the winter cold). The sour, salty and sweet flavors are heavy and softening to anchor and moisturize the agitated air element. Salty counteracts dryness by helping to preserve liquids. Sour has an emollient action that induces the secretion of digestive juices. Beware of the excess of sour and fermented flavors which may provoke Pitta! Less: Cashew Too much oilseed will be too dense to digest at this season, a source of indigestion and toxins. At fall, our skin loses much of its luster. Indeed, due to the vasoconstriction, the vitality of the skin decreases. When the temperature drops, our body protects itself against heat loss by reducing blood flow to the skin, arms and legs. The trees experience something similar: when the weather becomes cold, they draw their sap in their heart, their roots. This is why it is so good to consume roots in the autumn: tubers in our plates and roots in our herbal teas! Massage the whole body with heating and tonic oils (sesame oil, essential oils of cypress / basil / tarragon / cinnamon) before showering in the evening, then shower with hot water. Drink hot lemon ginger honey in the morning. Add a pinch of turmeric in the dishes to keep the circulation. In the fall, joint pain tends to come out. In Ayurveda, the bones are directly related to the colon. The best thing is to massage the painful zone with vegetal oil and chamomile and camphor essential oils. To calm the vata, you should limit alcohol and caffeine and drink anti-inflammatory herbal tea such as white willow bark. Birch bark, blackcurrant leaves, chamomile matricaria ... It is also important to eat more minerals by adding nettle gomasio (it is a delicious topping!). Return to Paris for a few days, as an interlude before a new start. I just came back from a trip to India, where I was fortunate to be able to study with an awesome Dr., Dr. Hari, who in addition to his biblical knowledge in Ayurveda, has so much heart and compassion. I also met friends, pure-hearted and crazy, an incredible mix to guarantee adventures and discoveries. India awakens, frightens, pricks, caresses, makes deaf or blind, fills and empties ... so many contradictions and so much to discover. For the moment I allow myself time to digest all this. Time does not press. It is always relative. One can choose at any time to slow down its course, as one would hang an hourglass, and from savior one by one each of its grains. Why hurry, there is so much to love. In recent years, through yoga, ayurveda, meetings, travels, friendships I have enjoyed every moment. But, time seems to have accelerated this year in Paris. I’m back now for 1.5 years already ... I am so happy and thankful for all the experiences I have been able to do! I met the wonderful people in various settings, gave consultations in Ayurveda and Nutrition, followed the first patients in the long term, gave workshops, co-organized a detox weekend with my talented and amazing Friend Majda, Given cooking workshops, co-wrote a book (AyurvedaFood) with Sanjee, traveled to London and Sicily, changed apartment 4 times, survived bed bug invasion, spent days preparing Plants, elaborated my medicinal oils and ghee, tried to do home caterer with Majda, a lot of coffee too short (even ayurvedic), worked in a vegan restaurant, created vegetarian recipes with Majda, sung much, integrated a Yoga family (Samasthiti), made a trip to Corsica with my sister, danced until exhaustion, triggered my sciatica too many times by excess of dance, integrated a group of artists for improvisation, experienced full moon circles, lived 1 week In full nature with women in the Cévennes, rediscovered my totem animal, pulled the cards (a lot), lost my fetish necklace, followed an Abhyanga massage training and body therapies, integrated the Ayurveda association in France, met an amazing Practitioner in Ayurveda, celebrated my father's 60th birthday, skied for the new year with my sister, her partner and my cousin, traveled to India for the first time, created and strengthened friendships, accepted a departure, bought more books than I were able to read, doubted me, loved every moment ... Above all, I questioned my nature and my way again and again. This questioning has finally paid off, at least achieving ;). I am certain of my will to continue in the care, in Ayurveda, in natural therapies, in plants. I think that true care does not come by itself, but always within a community that learns and develops together. Ayurveda has never been practiced alone for the welfare of the practitioner as well as the patient. In the same way, true healing is done in nature and not in the city, and requires time. Finally, the will to care must be de-correlated with money in my opinion. Certainly we live in a world where we need money. But I do not want it to be an obstacle to help and care. For his reasons, I now appreciate bringing him closer to nature, studying plants directly in his bosom, and discovering the projects that advocate his values. So comes a new period of travel and experimentation. My Vata rejoices! This is how I leave Paris after my birthday. I think celebrating my 30th anniversary marks a turning point for the next chapter ahead. What's next? I will give the Ayurvedic answer to everything "it depends";) My encounters and experiences. You have to try to get your opinion and learn for yourself. But I have validated some next milestones: I will co-animate ayurvedic cure of a week at the end of February, then direction Switzerland for 1 month in permaculture center which also cultivates medicinal plants, to discover other projects (communities, NGOs ...). Along the way, I continue my consultations and I also give treatments (abhyanga, other ayurvedic care). From now on, the payment will be on donation (monetary or not). 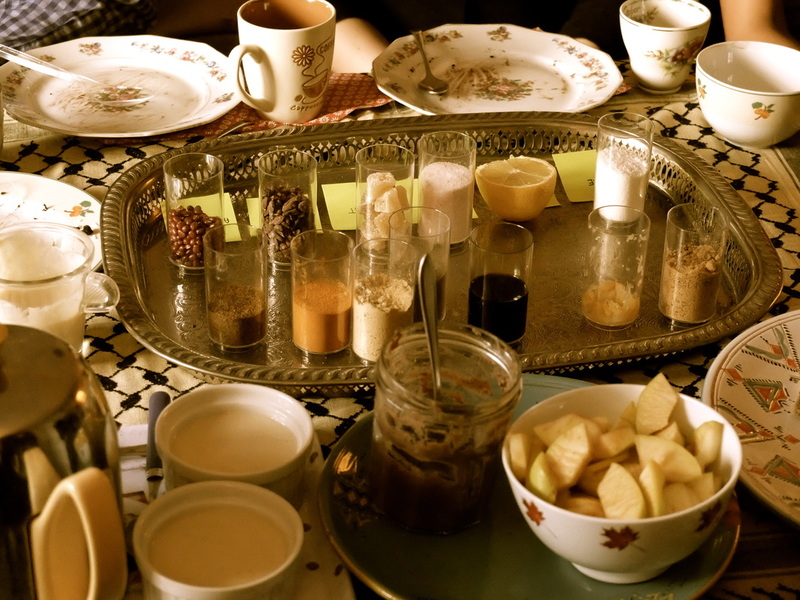 A few days ago, Majda and I have organized a Yummy Tea Time and Discovery of the 6 tastes according to Ayurveda. It was a special event to make people discover our vegetarian healthy food and the ayurvedic approach to nutrition. The idea was quite simple: make the attendees identify the 6 tastes that Ayurveda speaks about - sweet, salted, sour, pungent, bitter, astringent -, by tasting some delicacies especially designed for this event. It was such an opportunity for us to let our creativity flows! Today's society puts a lot of barriers and space between people and relationships, even within families. Despite the fact that we live surrounded, many people feel deeply alone, experience a lack of love from others but also towards themselves. I think this is the major reason for this addiction to sugar. Our brain activity certainly needs it, but in normal amounts, given the fact that most people do not have a physical activity requiring a really important intake. Thus, how to manage cravings for sugar to give us a little love feeling in a more balanced way? Today, we are going to be unconventional… On a Valentine day, as food bloggers, we are supposed to present some lovely meltingly chocolate cake or a fancy appetizer that puts you in a romantic mood. But it doesn’t really feel like it. Right now, we are not looking for more candies and cakes but for some simple, tasty and regenerative food. A new approach to friendship and love? 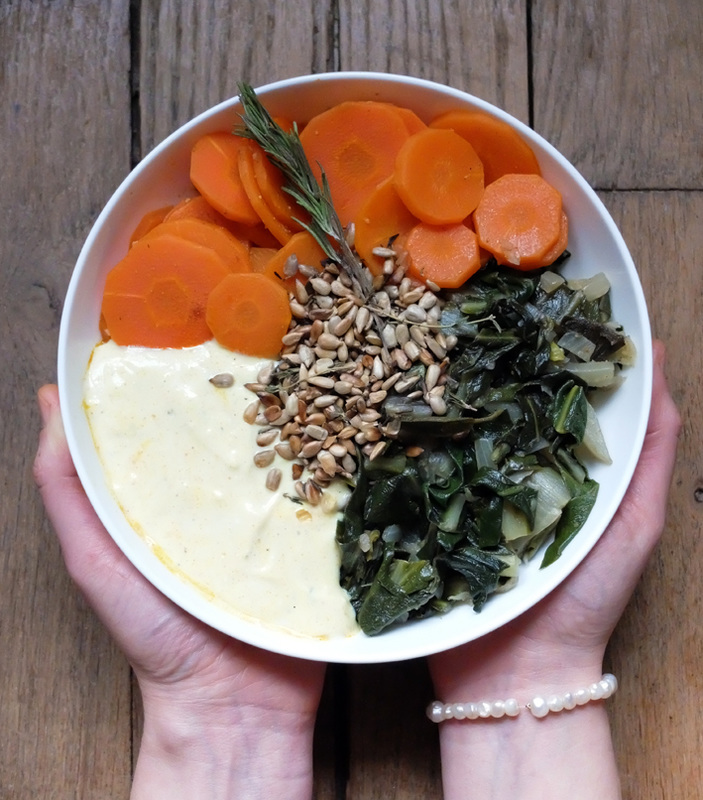 Inspiration for today’s recipe comes from the type of lunch Eloïse and I usually have during our working days. Every Wednesday, we meet to create new recipes. The day starts at the Edgar Quinet market where we can find very good quality products, sometimes organic, very often from the region. There, among fresh fruits and vegetables, we find inspiration for new savory and healthy recipes. Even if we like proposing easy recipes, food blogging requires creativity, sense of esthetics and originality. But what about unpretentious and genuine food? This week, we decided to ignore rules J. Therefore, we are suggesting you a meal that we would typically eat in our day-to-day lives. A meal made of seasonal and affordable vegetables. But still, it is very poetic to us! 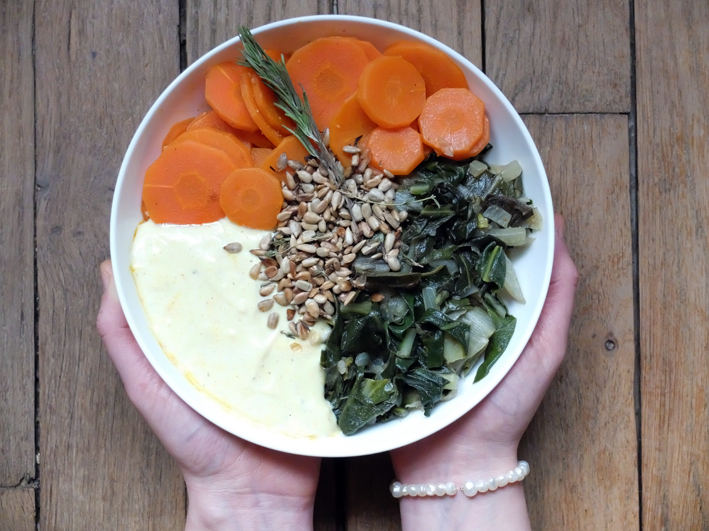 This bowl is made of beautiful Swiss chards cooked with ras-al-hanout, Moroccan style carrots (chermoula) and a delicious raïta sauce. Roasted sunflowers give this bowl a crunchy and tasty touch! In a wok, heat the spices in oil. Add garlic, onions and sage. Let brown for a few minutes. Pour the chards. Add some water (½ to 1 cup should be enough). Cook for 10 minutes over medium heat. * If you do not find ras-el-hanout, you can mix some of the following: coriander, turmeric, cardamom, ginger and cloves. In a saucepan, heat the spices in oil. Add garlic and let brown for a few minutes, over low heat. Pour carrots. Add some lukewarm water (1 cup). Cook covered for 15 minutes. Add cilantro at the end. Pour all ingredients into a bowl. Mix with a spoon. In a pan, pour seeds and rosemary leaves. Let brown for 2 or 3 minutes. Arrange the bowl the way you like. Play with colors. Enjoy! What does Ayurveda say about this? A simple meal, digestible, warm and satisfying. These are the watchwords for this winter season. Winter is the kingdom of Kapha with which it shares the same qualities. In most places, it's colder, cloudy, foggy, rainy or dry and heavy. We just want to curl up at home and hibernate. Because winter is colder, many people may also experience symptoms of Vata if they already have an imbalance, especially in late winter when the wind is back and when the climate is irregular. Therefore, adopting a diet to pacify Vata and Kapha is important during the months of January and February. What are the attributes to look for? A warming food, more liquid, spicy, digestible and nutritious. Why nourishing and satisfying? Because in winter our appetite is increased and it is normal. Indeed, cold temperatures close pores and superficial connective tissue. This reduces the heat loss. The heat of the peripheral system is then gathered inside the body, in the stomach thereby increasing the digestive metabolism and therefore the appetite. Thus, we have prepared this simple and delicious meal. Some carrots (cooked) with their sweet taste, their warming metabolic action and their catabolic effect on digestion and elimination (laxative). Cooked carrots decrease both Vata and Kapha. Carrots are alterative (they purify the blood), they protect the lungs, are a tonic for the lungs, skin and eyes. As alkaline food, they help to rebalance the acidity (illness, pain). In addition, cooking with cumin (spicy and bitter flavor) and paprika (spicy and sweet taste) exhales their action on digestion. The chards with both sweet and bitter flavors, are warming for the metabolism and catabolic for digestion, which promotes digestion and elimination. Chards reduce all 3 doshas. They also have a diuretic action (good for removing Kapha accumulation in winter). They are rich in calcium, iron and magnesium, Vitamin A, C and E. The combination with garlic, onion and sage sublime their sweet and dense side (nutritive). Ras-el-hanout is a mixture of spices which composition tends to vary according to the recipes (same as curry). It still remains a carminative mix, antispasmodic and catabolic for digestion and elimination. Its spicy flavor - but not burning - blends perfectly with the sweetness of the chards. 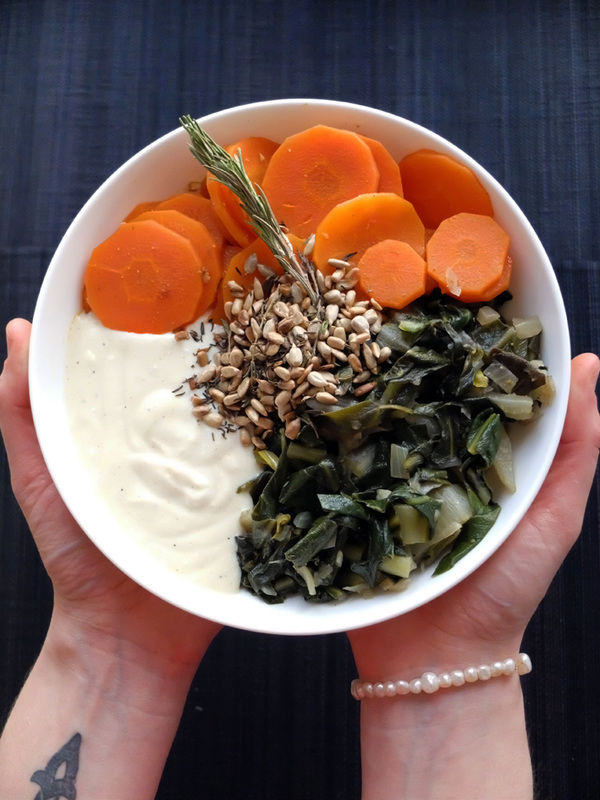 A creamy yogurt sauce, spicy and moisturizing to accompany these yummy veggies. Despite the soy controversy, it remains a very healthy and easily digestible vegetable protein intake. As we say in Ayurveda, any food (if organic, untreated ...) is good by nature. It depends for whom, how, when, and in what quantities. In all cases, it should be consumed organic and without GMO. Its cooling effect on metabolism can disturb Vata and Kapha if it is not combined with carminative and heating spices. That is why we have combined it with lemon mustard, turmeric, salt, pepper and rosemary. Sour lemon with a heating effect on the metabolism. Suddenly, a beautiful Mont-Blanc appeared. Almost magnetized by this wonderful winter pastry, we started a discussion about how to come up with a vegan and lighter version of it. The machine of yummy dreams was restarting! Usually made of a meringue covered with a whipped cream and garnished with chestnut cream vermicelli, Mont-Blanc is often criticized for being a rich and buttery pastry. Our idea was to bring some lightness with a tiger-nut biscuit and a tangerine fluid cream. 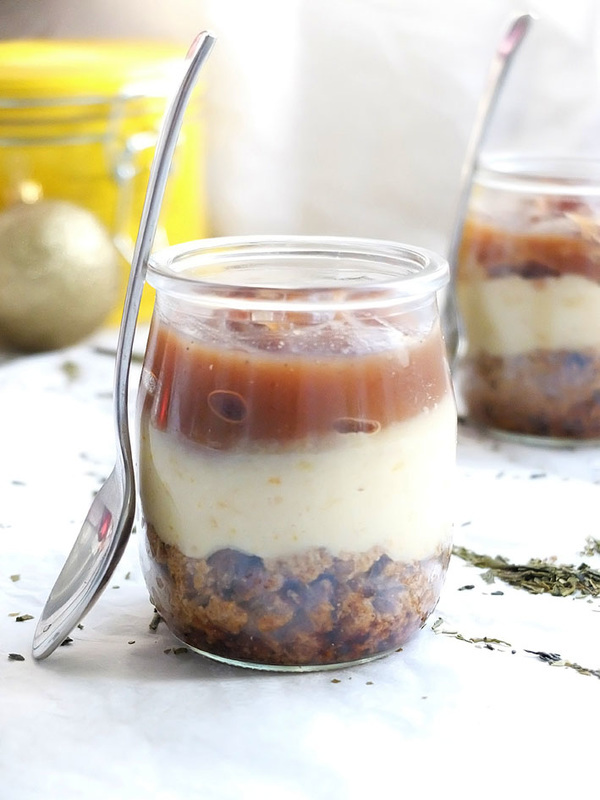 The perfect dessert to close your Christmas dinner ! In a dry pan, toast the tiger-nut flour for a few minutes, until it exhales its flavors. Let it cool. Soak the flax seeds in 15 cl hot water and mix. In a food processor, pour the flour and the flax seed mixture. Add the dates. Mix. Preheat the oven 180°C / 350°F. Spread the dough on a baking sheet lined with parchment paper, 1-2 cm thick. Cook for 10 minutes. In a saucepan, mix the agar-agar in 10 cl water. Whisk for 2 minutes after boiling. Let cool. In a blender, mix the silky tofu to obtain a fluid texture. Add the tangerine zest and the water with agar-agar. Blend. Break the cookie in small pieces with hands. Put some in the bottom of a ramekin. Add some tangerine cream and put in the fridge for 2 hours, to let the cream harden. What Ayurveda has to say about it? This is a point on which Ayurveda can help us. How to prepare desserts that do not make our digestion collapse? 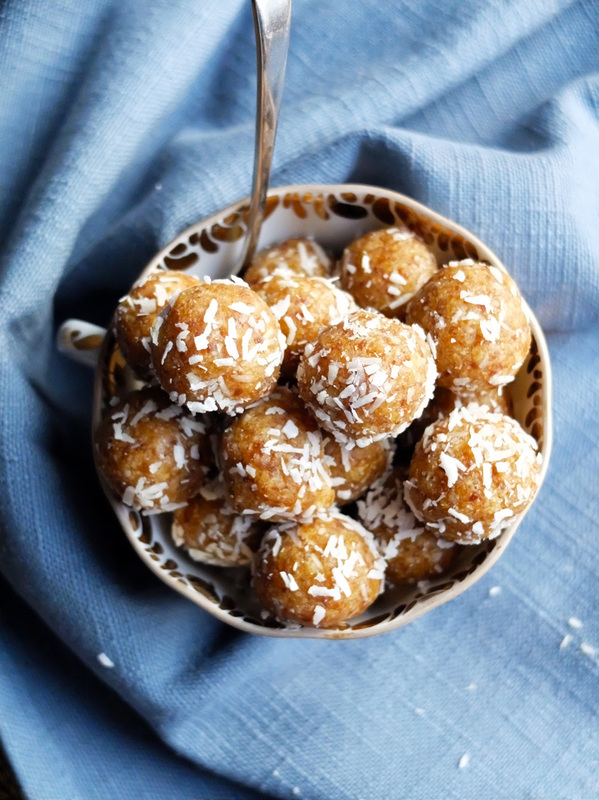 From a purely Ayurvedic perspective, sweet should generally be consumed before the meal because it is the heaviest foods (except meat) to digest and should therefore mobilize our metabolic activity in the first place. However, it seems difficult to implement for these dinners, at the risk of despair grandparents or trigger an earthquake in Christmas traditions (we do not want to spoil the dinner). So we thought about a solution to this. 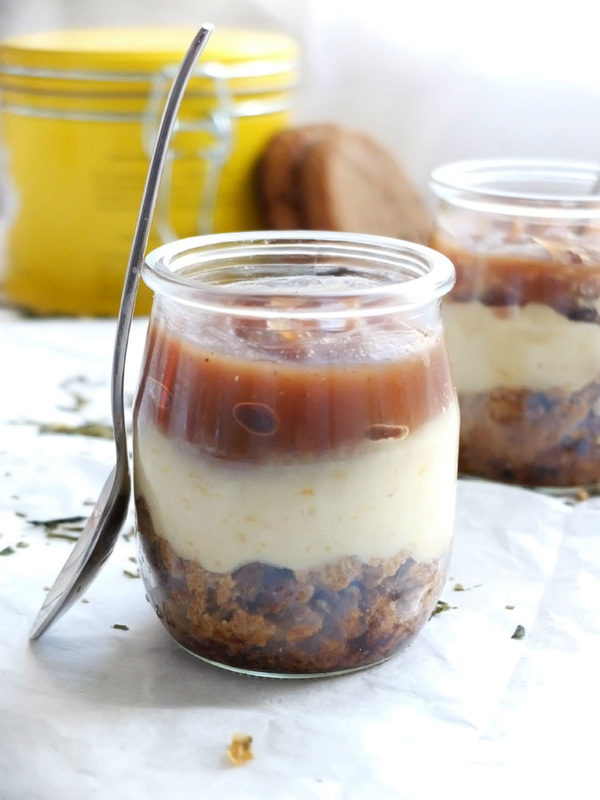 We chose to create a trio, in a jar on three levels, to fill our cravings for sweets and ease our digestion, by marrying the flavors and limiting the quantities (there are always too many desserts!). 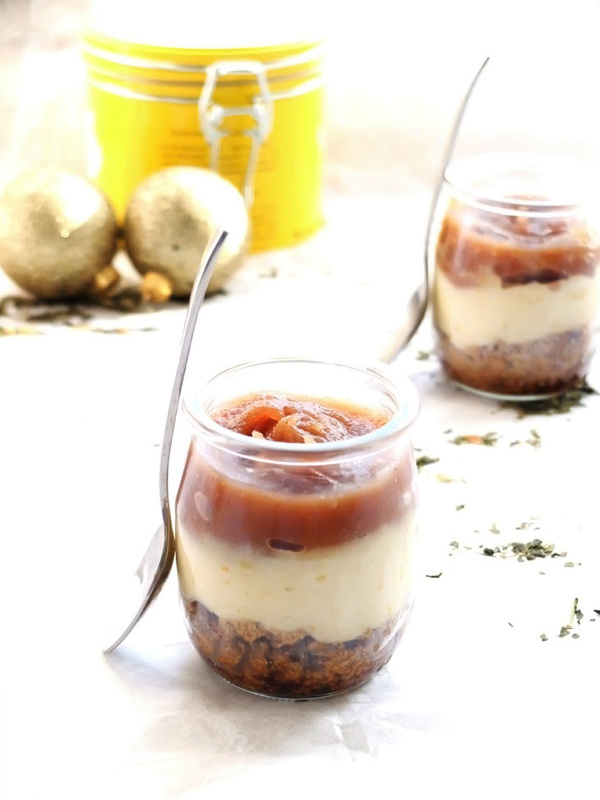 The flavors of this dessert are seasonal: chestnuts, tangerines, nuts ... According to Ayurveda, seasonal products help us to balance as they reflect the normal cycle of nature and the world of which we are part. The biscuits which form the 1st level of the jar are light and digestible (although nourishing) without eggs (flax seeds are used as binder), and contain only natural sugar (dates). The chestnut cream on top is the densest layer. Its rich and sweet flavor marries perfectly with the clementine and the nut of the lower layers. Its sticky quality is perfectly combined with the softness of the cream and the crunchiness of the biscuits. As my teacher says, Ayurveda is the science of indulgence. It is never extreme. Its nutrition focuses on the individual but also and above all on the awareness on the act of eating itself and on the notion of pleasure. These celebrations are certainly the opportunity to eat but mostly it is an opportunity to come together, perhaps to cook together (this food has the best taste and best virtues), talking and eating. These meals give us the opportunity to fully savor delicious food in the company of loved ones. This will definitely help our digestion! Because the setting also plays a key role in the assimilation and digestion of food. This recipe was created with Majda from Bread & Olive. In Ayurveda, we speak of three organizational principles that govern physiological and psychological functions of our body / mind / soul. They are three smart managers upon who depends our balance. They are the basis of the Ayurvedic system and have been codified long ago (between 15000 and 1500 BC according to the debates) when Physicists have worked to understand the different relations and links between the stages of matter and their modifications. Winter is the season of Kapha in all its beauty. In winter, life slows down (or at least it is supposed to, even if life in the cities do not necessarily allow it). In most places, it's colder, cloudy, wet, dense ... similar qualities as Kapha and will therefore contribute to its build up and provocation. Because winter is cold, it also tends to disturb Vata. My experience also demonstrated to me that climatic irregularities (alternating hot and cold days, rainy and beautiful) as well as stress and speed of life in cities push also Vata in winter. This often gives Vata pushing Kapha type of problems. All this is logical, because these problems are directly related to the same Kapha sites in the body (stomach, lungs, pericardium (around the heart)) and emotionally to love & compassion. If you feel changes (slow digestion, not hungry, full sinus, weight gain, moral flat ...), we understand that our Kapha is increased and that must be balanced. However, winter is also the celebration of Kapha in this season full of festivities to warm up the heart. The Kapha energy is in loving, meetings friends and family, sharing. Kapha is a wonderful force, especially in this season and in those moments when we all wish to find ourselves surrounded by our loved ones. Thus, the winter allow us to increase our Kapha energy. In Ayurveda, we talk about our Ojas. This is comparable to fuel our body and our heart need to live. Indeed, most of the autoimmune diseases comes from a deterioration of the Ojas. Thus, sharing moments with people we love, receiving and giving, and opening our heart allows us to create Ojas. Only like this, once recharged, we can undertake the next year. But in these difficult times, we also need poetry. Therefore, this fall flower salad is very welcome! No doubt that this colorful mix of flavors, sweet and sour, raw and cooked, is our favorite salad of the season. We are sure that the sweetness of apple, the softness of squash, the crunchiness of toasted sunflower seeds won’t leave you indifferent. Pre-heat the oven 180°C. Pour the squash on a tray and gently oil. Cook for 25 minutes. In a saucepan, heat the ghee. Add the apples and ½ tsp cinnamon; cover with a little water. Cook for about 10 minutes. In a pan, toast the sunflower seeds with cinnamon and rosemary for 5 minutes. 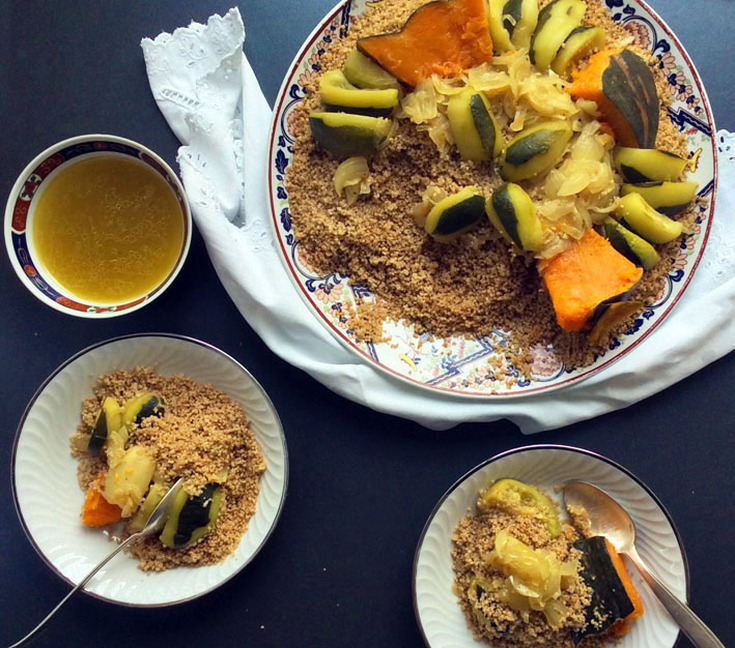 Remove the squash, apples and sunflower seeds from fire and let cool. Arrange the spinach leaves on a plate. Lay the other ingredients at your convenience. Drizzle with olive oil. 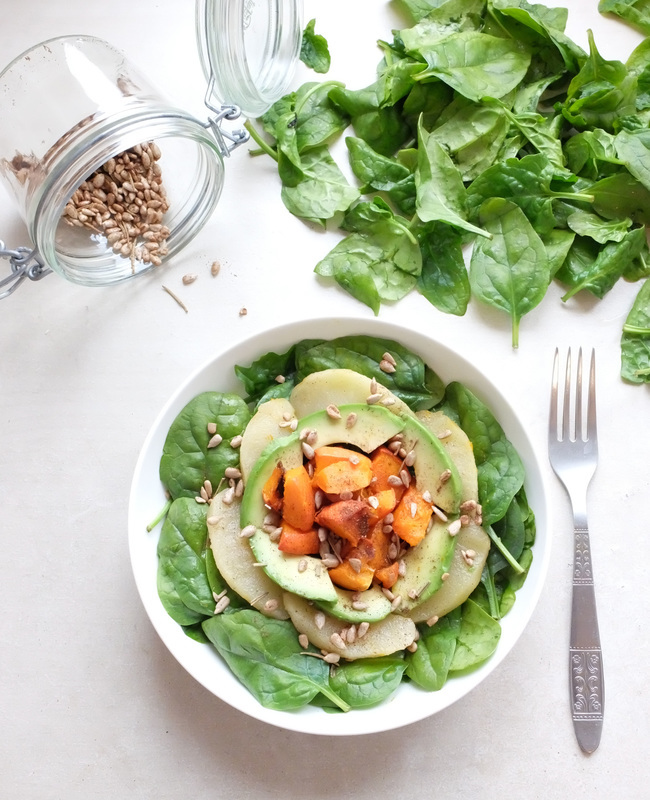 On a bed of raw spinach, we chose ingredients that balance Vata (which tends to be higher during fall). Baked food, hot, tender, rich and digestible: pumpkin, apple, avocado and sunflower seeds. Its sweet taste and its “heavy” quality make it a rich and nutritious food that is involved in tissue and energy regeneration. Its metabolic action "heating" also promotes digestion. Its digestive action "spicy" is catabolic, which has a slightly laxative effect. Baking is very good for Vata and also gives a gourmet taste, very important right now. Its pungent taste stimulates appetite, increases circulation and adds flavor to other foods. Its astringent side is anti-inflammatory and supports coagulation. Its light, crispy and dry qualities can increase Vata. That is why it should always be served with oil. Its metabolic action is cooling which supports its anti-inflammatory action. Its digestive action is "pungent", which supports detoxification and elimination. Other actions: decreases the activity of the thyroid, bone tonic. Its sweet taste, its creamy texture and richness make it an excellent food to nourish all tissues. The anabolic action on the tissues is promoted by the cooling action on the metabolism. Its heaviness (oil) is comforting and calming. It lubricates the intestines and helps eliminate. The pumpkin melts in the mouth like ice-cream or cheese with its creamy texture that many people are looking for in dairy products. So it is a great choice for people who do not consume dairy or who are vegetarian / vegan. Food that benefits all levels: taste, metabolism, ojas (promotes energy) and also mental with its 'tamastic "/ dense side that roots the mobile Vata. Rich in: Omega 3, potassium, vitamin E.
Its taste depends largely on the variety. Here, we chose a sweet apple, just a little sour, which is more balancing for both Vata and Pitta. The sweet taste generally increases the sugar in the blood. However, apple keeps a low glycemic index and caloric intake. Its sour taste promotes saliva production and therefore digestion. This helps to cleanse the liver and it also cools the temperature of the blood by increasing the production of bile in the small intestine. Its metabolic action is cooling. Its digestive action is "sweet" which supports tissue regeneration, while having laxative action due to its composition high in fiber and water. Raw apples can be cold, drying and difficult to digest; while when cooked, they are soft, warming and very digestible. In the US, it is said: "One apple a day keeps the doctor away". Ayurveda could easily share the same opinion. Its sweet flavor and tender and oily qualities promote growth and energy. Its digestive action is anabolic. Sunflower seeds are grounding and calming for Vata and Pitta. Dry roasting them make them more digestible, especially with the addition of carminative herbs (cinnamon, ginger, rosemary). Besides, it's delicious! Its "sweet" flavor and digestive action support tissue regeneration. It also has a bitter side which increases bile production to clean the liver. That’s why it is very famous for "liver flush". This will be an opportunity to meet people, share a comforting meal and talk about non-violence ("ahimsa") in our relationship with others, food and ourselves. In addition to all the things we share, Majda and I love coffee. What’s better than the smell of a freshly made coffee, the feeling of waking up a second time while sipping your cup, or the aromas released by freshly brewed beans… But, lately, we were feeling more and more guilty while drinking our coffee cup together. While for a while it was considered as an energizing and a stimulating product for the heart, coffee has now a bad reputation. 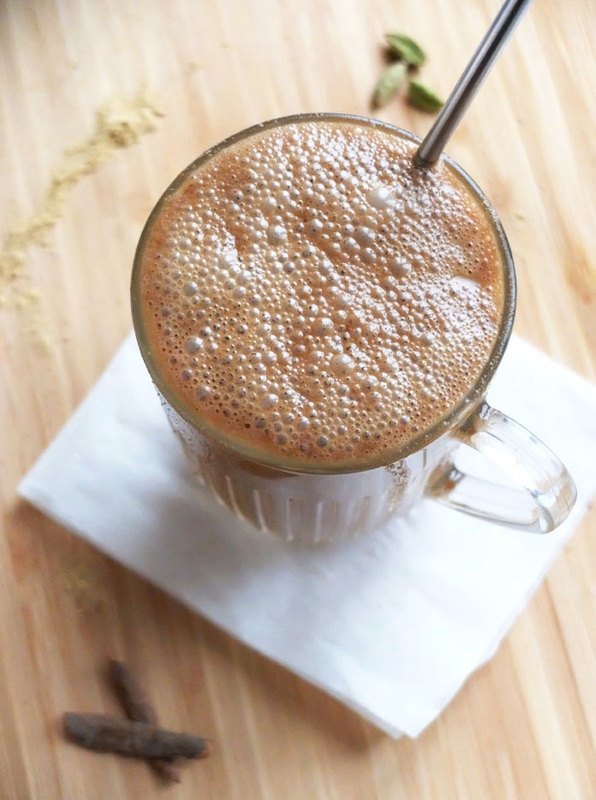 Hopefully, thanks to Ayurveda, there are ways to make “healthier” coffee and we are happy to offer you here a recipe that allows to combine wellbeing and pleasure! Discovered during the 12th century in Ethiopia, coffee is now a universal beverage. Coffee is the first agricultural commodity traded in the world and the second raw material in value after oil. It is a huge economic stake! Coffee is the first consumed beverage in the world after water, far beyond wine! There are controversies about coffee and its effects on health among studies and medical researches. According to some researches, coffee is responsible for many disorders and aggravates some illnesses as stress, depression, polyarthritis, Alzheimer… According to other researches, it has positive effects on some diseases and reduces chances of getting cardiovascular diseases, Type 2 diabetes, cancers… However these positive health effects may be due to polyphenols - which could be also found in cocoa or wine - rather than to caffeine. So, is coffee good or bad for health? According to Ayurveda, the more accurate answer would be « it depends »! It depends on the individual, the situation, and the health condition… It depends on too many variable factors… So there is no absolute answer. Something we can say for sure is that caffeine contained in coffee has stimulating effects that tire adrenal glands on the long term. For a healthy adult, a small quantity of coffee can help increase vigilance and concentration. For other people, it may lead to undesired biological effect such as insomnia, headaches, irritability, and anxiety. From an Ayurvedic perspective, everything could be used as a medicine. It depends on the quantity and the way it is used, in addition to the each individual’s health condition. Coffee is considered as a mental and digestive stimulant. Its taste is bitter. Its metabolic action is warming and its digestive action is catabolic (in fact, many like it because of its laxative effects!). In Ayurveda, Ojas is a concept used to describe the source of vitality, vigor and immunity for body and mind. It is the health capital. Due to its effects on stress control hormones, coffee is considered to decrease this capital. For now, coffee plays an important role in our society and daily lives. Therefore, Majda and I have thought about a morning coffee recipe that allows increasing its benefits while diminishing its side’s effects! 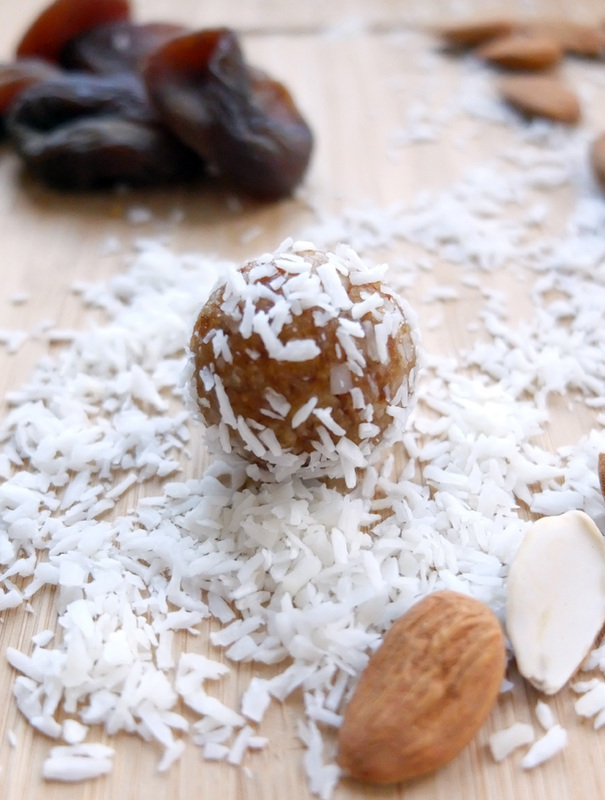 Very soon, this recipe will become the masterpiece of your energizing breakfast! Another thing we can assert: nothing should be over consumed on the long term. Coffee makes no exception to this rule, in particular because of its depletive and drying action on adrenal glands. In fact, caffeine stimulates adrenal glands through the pituitary gland, which liberates adrenalin and gives this energy boost. The more we drink coffee, the more the body is in a « stress » state, due to the adrenalin that is constantly released in the blood. On the long term, it tires adrenal glands, which contributes to create many hormonal complications. Another point: coffee has an effect on dopamine release, a hormone responsible for pleasure and addiction. Besides, DHEA (dehydroepiandrosterone), a steroid hormone which play a major role in tissues and cells reparation, tends to decrease with a high consumption of coffee. Considering coffee’s effect on nervous and hormonal systems, it is important to use an organic and good quality coffee. Prepare a long coffee with filter or piston coffee machine. If you prefer your Italian coffee maker, just add some hot water to obtain the desired amount of liquid. In the blender, pour coffee, add spices and coconut oil / butter. Blend for one minute. 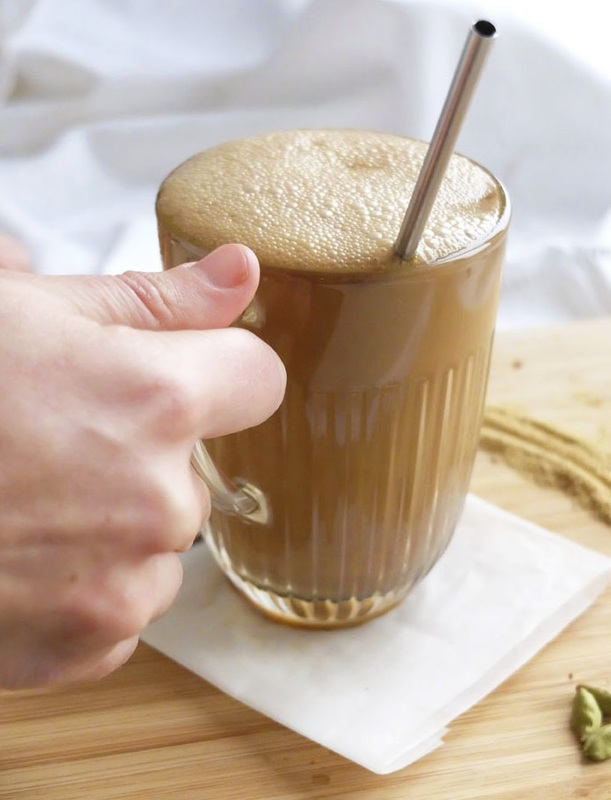 A slight foam will appear on the top. 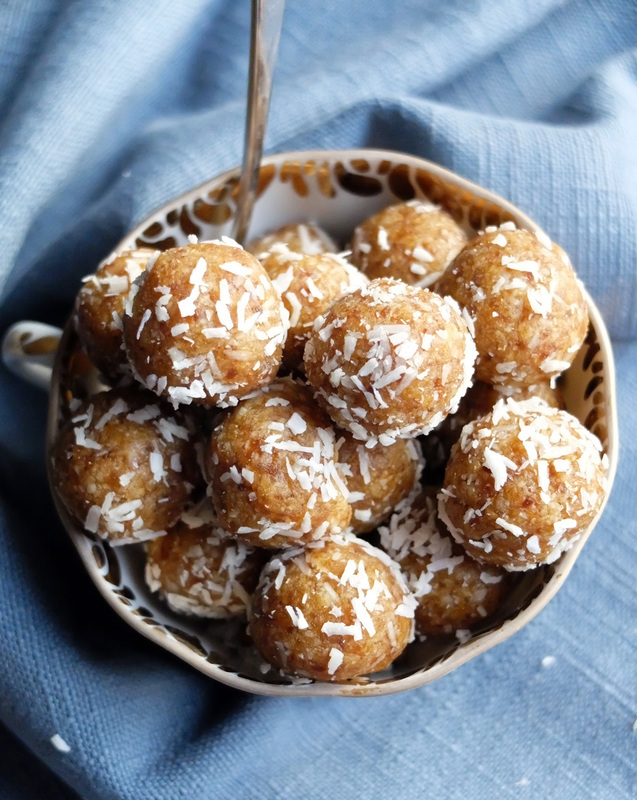 Serve and drink unsweetened, or add some rapadura or coconut sugar if you prefer. Vata * individuals are already hyperactive, spending their time running everywhere and tend to be agitated and to disperse energy. They are more vulnerable to dehydration, constipation and insomnia. For them, coffee consumption should be limited. The sweet, salty and sour tastes balance Vata. Pitta ** are brilliant people active and determined. Also with a tendency to hyperactivity. They tend to develop inflammation and acidity. Just as Vata, Pitta should control its coffee consumption. The sweet, bitter and astringent tastes are good for Pitta. The Kaphas *** are the most stable individuals. They tend to gain weight and have a slow metabolism. There are those who benefit the most from the coffee and its digestive properties especially if it is black, without sugar and after the meal. The spicy, bitter and astringent tastes balance Kapha. 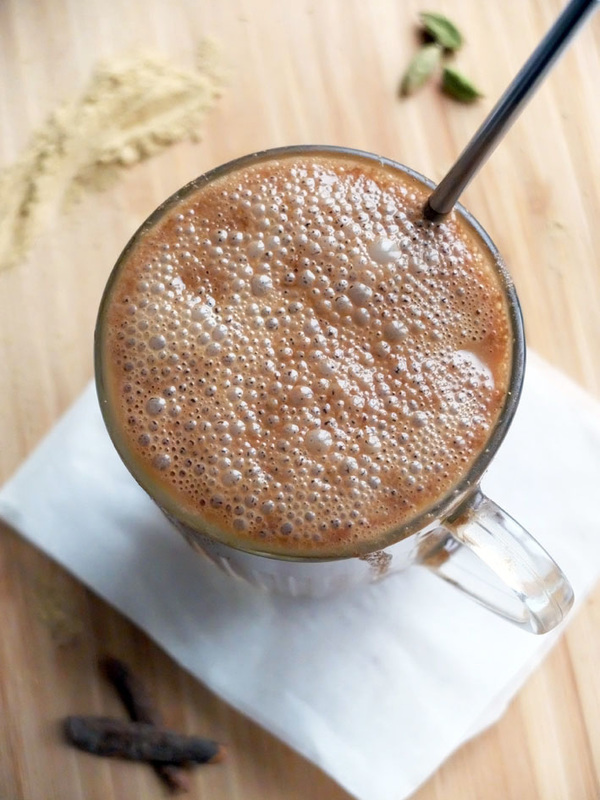 To antidote coffee for the 3 doshas, ​​but also to take into account the fall season (and the rise of Vata), we chose to add spices and coconut oil in its preparation … These spices are good for the three doshas. 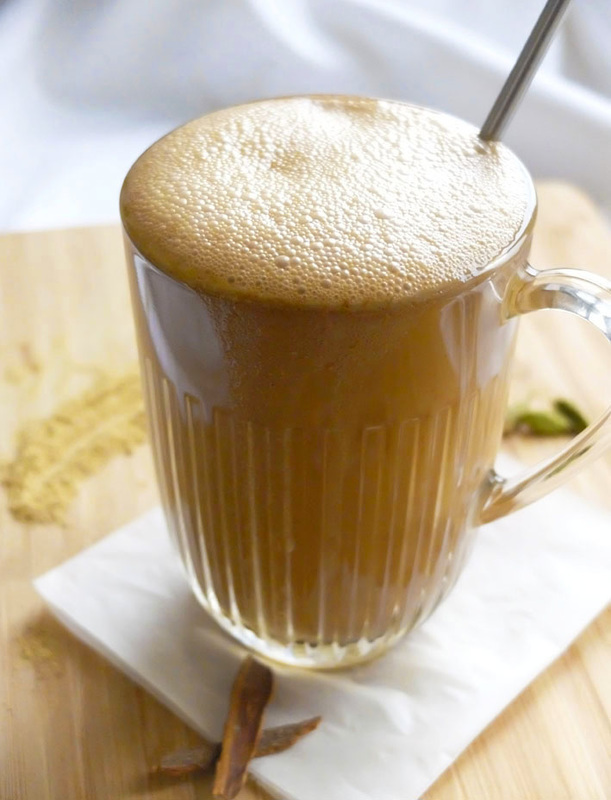 Cardamom is cooling and digestive action is sweet, which means it has an anabolic effect (creation of tissues) which balances the catabolic action of the coffee. It is carminative, diuretic, expectorant, digestive, anti-flatulent, anti-nausea ... By its action decreasing Vata, Pitta and Kapha, cardamom is a good antidote to reduce stressful coffee effect on the adrenal glands. Cinnamon is heating and also anabolic. It destroys toxins, increases appetite, traffic, energy. It is digestive, antispasmodic, expectorant. It is also used to treat menstrual problems (dysmenorrhea, amenorrhea, and menorrhagia). It reduces Vata and Kapha and increases Pitta. Ginger is also heating and anabolic. It destroys toxins, increased appetite, stops nausea, reduces pain, is an expectorant, diaphoretic, regenerative (all tissues) and emmenagogue ... It is also widely used in the treatment of various types of arthritis or in case of colds. It decreases Vata and Kapha and increases Pitta in excess. Coconut oil is cooling is anabolic. It will therefore calm the heating side of cinnamon and ginger and therefore Pitta. Its mild, sweet and oily side get rid of the drying effect of coffee. This serves as protection for the adrenal glands. She will give a velvety appearance to coffee, dense and smooth, which is very good for Vata and Pitta. You can also use nutmeg (just a tip). It is heating and catabolic. It is nervine, sedative, carminative, stimulant and expectorant. Its action on the nervous system will decrease the exciting side of coffee and therefore limit the release of adrenaline. Some people do not necessarily like its very pronounced taste, so we haven’t added it to the recipe. However, its virtues combined with this recipe are beautiful and deserve our attention. So if you like its taste, try it! Otherwise the basic recipe suits you best! Ayurveda is based on the theory of the 3 doshas. The doshas are fundamental energies of the body and organizational principles that govern physiological and psychological functions of the body. It is a system based on the 5 elements used to codify the functioning of the body, mind and soul. To find out your constitution, a consultation with an Ayurvedic therapist is indicated.